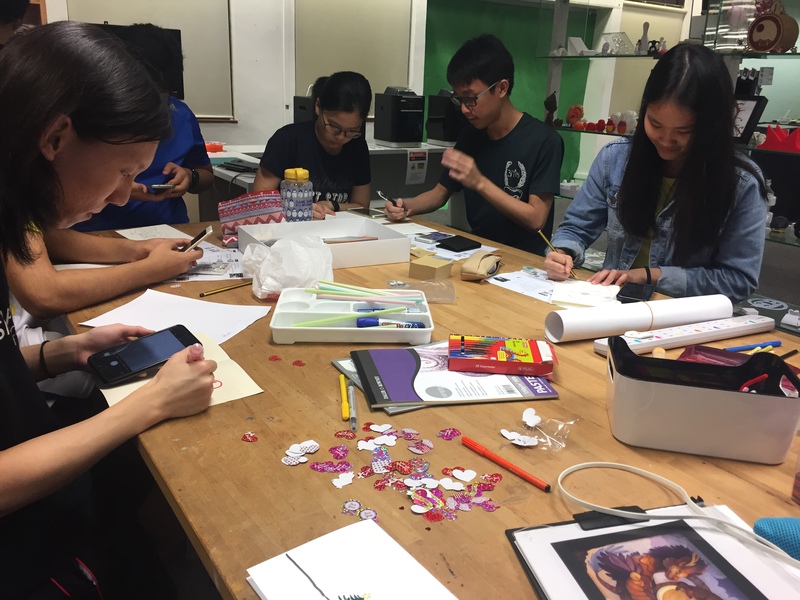 Storytellers’ Kitchen hosted its latest round of Augmented Reality workshops earlier this month at the Singapore Polytechnic Arts Fiesta. Each time, we inevitably are delighted and amused by the possibilities of what can be done when creative ideas meet technology. 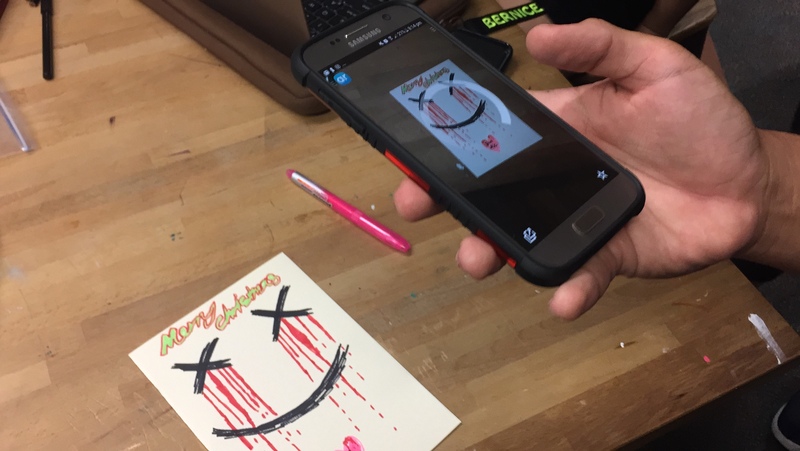 The idea behind this particular workshop was to introduce Augmented Reality as an accessible way to make something inanimate come to life. Our AR greeting card making workshops are a favourite! As with most things technological these days, the common tendency is to think of them as occupying a different space as, or being at odds with, the physical world. Augmented reality debunks that misconception, but often when we think of AR, we think large scale, resource-intensive processes to produce the finished products we know and understand – Pokemon Go is a good example. With this workshop, the aim was to simplify AR and showcase its ability to add intrigue to something as simple as a sheet of paper. 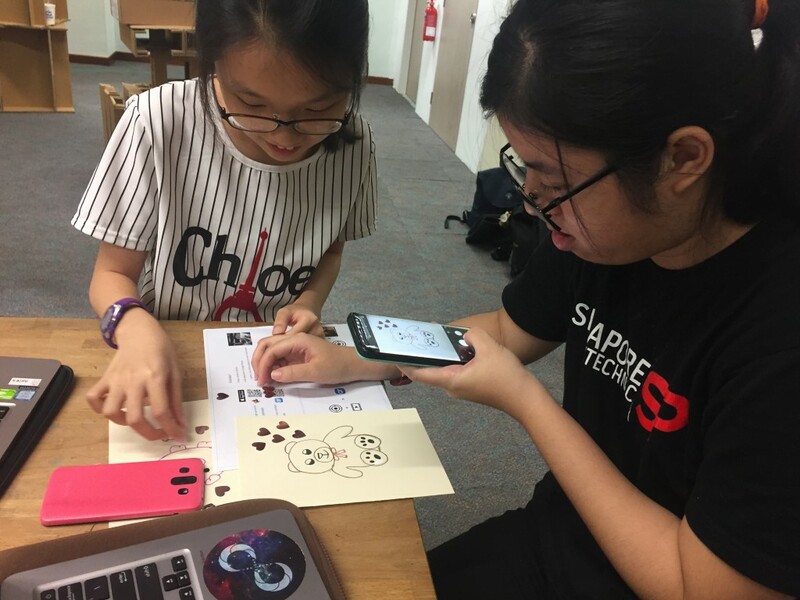 Most of our workshops begin with a quick overview of AR and examples, after which we go over the process of creating an AR greeting card and the apps involved. After this briefing, participants go off and try things hands on. We encourage people to collaborate, ask questions, and generally just be their crazy creative selves. 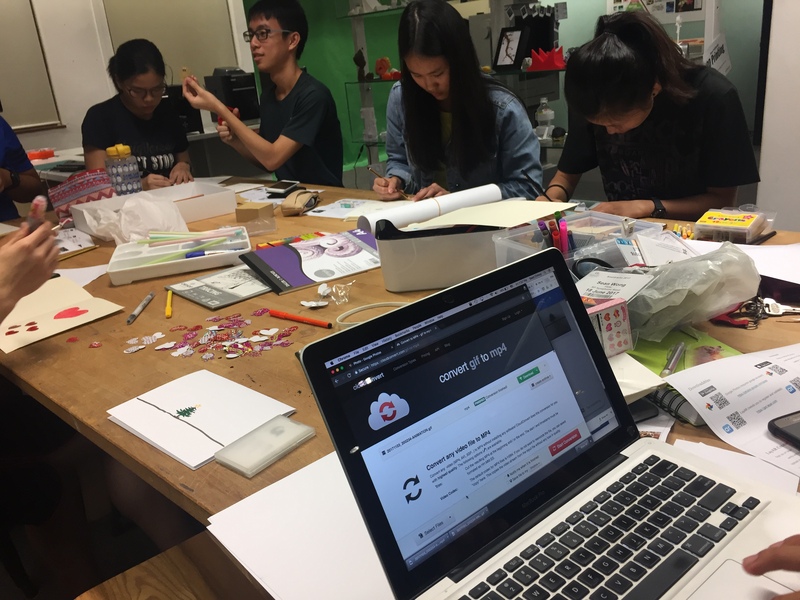 This workshop at SP Arts Fiesta is a testament to the fact that with the right tools, information, and ideas, you don’t need a lot of time to make something really cool and share-worthy! The image on your card will come to life when you add technology to the mix. Let it be known that we welcome all ideas at the Kitchen… even if they are slightly out there. Things at the Kitchen always get (the best kind of) messy.